The Hassle-Free Way To Sell A Somerville, Massachusetts House Fast… With No Costs! Are you looking for a straight all-cash offer to sell your house as-is with no contingencies? … your house is being foreclosed in less than a month and your credit about to be ruined but you’re still able to sell your property in 5 days without ever paying for repairs. … being able to sell your home in the as-is condition even though you have frustrating tenants in it and it needs over $10,000 worth of repairs. … an actual licensed and professional Massachusetts home buyer guides you through the probate process for your inherited house that needs thousands of dollars in repairs and a mess of clutter you don’t want to deal with, while they buy your house as-is with CASH. Any of this is possible if you’re in a situation that can’t afford to list with an agent. I’m here to tell you that there are more options than just using an agent. An option from a real “we buy houses Somerville” company who can purchase your house as-is with cash and in a week! Most people are going to just list it. But… often… there are those who have unexpected life events that fall into their laps and they can’t afford that option. If that’s you… you can call ((781) 209-6025) the #1 cash buyer in Massachusetts and get a fair, no-obligation offer in 24 hours, and consider your house sold hassle free the next day. In 5 days, you can walk away from all the stress that your property is causing you and celebrate the easiest house selling process in the state while eating at The Sarma Restaurant! To get your fair cash offer today… and enjoy a peace of mind in no time… call (781) 209-6025! All we ask is just a little information about the house and we’ll get you a no-obligation offer (with a free consultation) in 24 hours. Sell Your House Fast In Somerville, Massachusetts To Boston’s #1 Cash Buyer… cut out the middle man and get the best cash offer! We help property owners just like you, in all kinds of situations. From divorce, foreclosure, the death of a family member, burdensome rental property, and all kinds of other situations. We buy houses in Massachusetts… including Somerville and surrounding areas and pay a fair cash price, fast. Sometimes, those who own property simply have lives that are too busy to take the time to do all of the things that typically need to be done to prepare a house to sell on the market… if that describes you, just let us know about the property you’d like to be rid of and sell your house fast for cash. 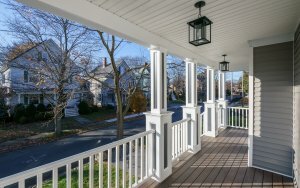 Why Won’t My House Sell In Somerville? I Inherited a House, What To Do? – Should I rent or sell in Somerville? Help, I’m behind in my mortgage payments in Somerville!